How to measure the capacitance? 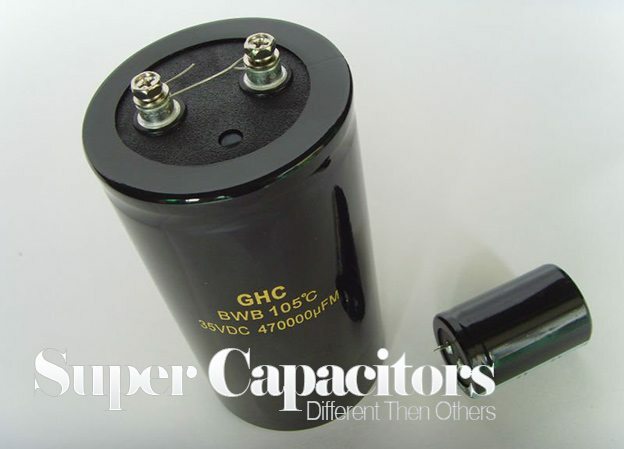 Super capacitors can be illustrated similarly to conventional film, ceramic or aluminum electrolytic capacitors. This equivalent circuit is only a simplified or first order model of a super capacitor. In actuality super capacitors exhibit a non ideal behavior due to the porous materials used to make the electrodes. This causes super capacitors to exhibit behavior more closely to transmission lines than capacitors. t = 0.632 x Vo where Vo is the applied voltage. This method is similar to the charging method except the capacitance is calculated during the discharge cycle instead of the charging cycle. Super capacitors have such large capacitance values that standard measuring equipment cannot be used to measure the capacity of these capacitors. Charge capacitor for 30 minutes at rated voltage. Discharge capacitor through a constant current load. Discharge rate to be 1mA/F. Measure voltage drop between V1 to V2. Measure time for capacitor to discharge from V1 to V2. 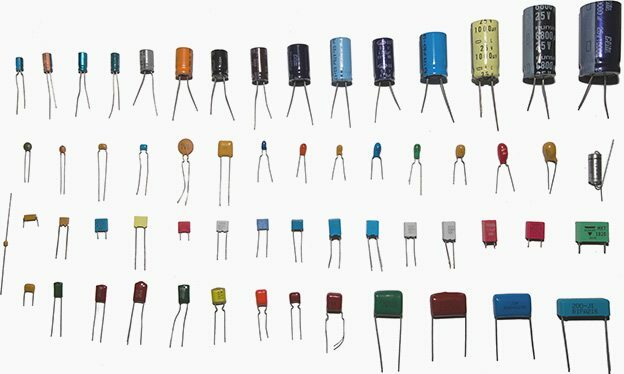 We group capacitors into three family types and the most basic is the electrostatic capacitor, with a dry separator. This capacitor has a very low capacitance and is used to filter signals and tune radio frequencies. The size ranges from a few pico-farad (pf) to low microfarad (uF). Rated in microfarads (μF), this capacitor has several thousand times the storage capacity of the electrostatic capacitor and uses a moist separator. The third type is the supercapacitor, rated in farads, which is again thousands of times higher than the electrolytic capacitor. The supercapacitor is ideal for energy storage that undergoes frequent charge and discharge cycles at high current and short duration. Farad is a unit of capacitance named after the English physicist Michael Faraday. One farad stores one coulomb of electrical charge when applying one volt. One microfarad is one million times smaller than a farad, and one pico-farad is again one million times smaller than the microfarad. Engineers at General Electric first experimented with the electric doublelayer capacitor, which led to the development of an early type of supercapacitor in 1957. There were no known commercial applications then. In 1966, Standard Oil rediscovered the effect of the double-layer capacitor by accident while working on experimental fuel cell designs. The company did not commercialize the invention but licensed it to NEC, which in 1978 marketed the technology as “supercapacitor” for computer memory backup. It was not until the 1990s that advances in materials and manufacturing methods led to improved performance and lower cost. The modern supercapacitor is not a battery per se but crosses the boundary into battery technology by using special electrodes and electrolyte. Several types of electrodes have been tried and we focus on the double-layer capacitor (DLC) concept. It is carbon-based, has an organic electrolyte that is easy to manufacture and is the most common system in use today. All capacitors have voltage limits. While the electrostatic capacitor can be made to withstand high volts, the supercapacitor is confined to 2.5–2.7V. Voltages of 2.8V and higher are possible but they would reduce the service life. To achieve higher voltages, several supercapacitors are connected in series. Serial connection reduces the total capacitance, and strings of more than three capacitors require voltage balancing to prevent any cell from going into over-voltage. This is similar to the protection circuit in lithium-ion batteries. The specific energy of the supercapacitor is low and ranges from 1 to 30Wh/kg. Although high compared to a regular capacitor, 30Wh/kg is one-fifth that of a consumer Li-ion battery. The discharge curve is another disadvantage. Whereas the electrochemical battery delivers a steady voltage in the usable power band, the voltage of the supercapacitor decreases on a linear scale from full to zero voltage. This reduces the usable power spectrum and much of the stored energy is left behind. Take a 6V power source that is allowed to discharge to 4.5V before the equipment cuts off. With the linear discharge, the supercapacitor reaches this voltage threshold within the first quarter of the cycle and the remaining three-quarters of the energy reserve become unusable. A DC-to-DC converter could utilize some of the residual energy, but this would add to the cost and introduce a 10 to 15 percent energy loss. A battery with a flat discharge curve, on the other hand, would deliver 90 to 95 percent of its energy reserve before reaching the voltage threshold. Rather than operating as a stand-alone energy storage device, supercapacitors work well as low-maintenance memory backup to bridge short power interruptions. Supercapacitors have also made critical inroads into electric powertrains. The virtue of ultra-rapid charging and delivery of high current on demand makes the supercapacitor an ideal candidate as a peak-load enhancer for hybrid vehicles, as well as fuel cell applications. The charge time of a supercapacitor is about 10 seconds. The charge characteristic is similar to an electrochemical battery and the charge current is, to a large extent, limited by the charger. The initial charge can be made very fast, and the topping charge will take extra time. Provision must be made to limit the initial current inrush when charging an empty supercapacitor. The supercapacitor cannot go into overcharge and does not require full-charge detection; the current simply stops flowing when the capacitor is full. The supercapacitor can be charged and discharged virtually an unlimited number of times. Unlike the electrochemical battery, which has a defined cycle life, there is little wear and tear by cycling a supercapacitor. Nor does age affect the device, as it would a battery. Under normal conditions, a supercapacitor fades from the original 100 percent capacity to 80 percent in 10 years. Applying higher voltages than specified shortens the life. The supercapacitor functions well at hot and cold temperatures. The self-discharge of a supercapacitor is substantially higher than that of an electrostatic capacitor and somewhat higher than the electrochemical battery. The organic electrolyte contributes to this. The stored energy of a supercapacitor decreases from 100 to 50 percent in 30 to 40 days. A nickel-based battery self-discharges 10 to 15 percent per month. Li-ion discharges only five percent per month. Supercapacitors are expensive in terms of cost per watt. Some design engineers argue that the money for the supercapacitor would better be spent on a larger battery. We need to realize that the supercapacitor and chemical battery are not in competition; rather they are different products serving unique applications. Cell voltage determined by the circuit application, not limited by the cell chemistry. Simple charging methods. No special charging or voltage detection circuits required. Very fast charge and discharge. Can be charged and discharged in seconds. Much faster than batteries. Long cycle life of more than 500,000 cycles at 100% DOD. Virtually unlimited cycle life – not subject to the wear and aging experienced by the electrochemical battery. Low impedance – enhances pulse current handling by paralleling with an electrochemical battery. Rapid charging – low-impedance supercapacitors charge in seconds. Simple charge methods – voltage-limiting circuit compensates for selfdischarge; no full-charge detection circuit needed. Cost-effective energy storage – lower energy density is compensated by a very high cycle count. Almost zero maintenance and long life, with little degradation over hundreds of thousands of cycles. While most commercially available rechargeable batteries can be charged 200 to 1000 times, ultracapacitors can be charged and discharged hundreds of thousands of times with no damage.However, in reality, they can be charged and discharged virtually unlimited number of times, and will last for the entire lifetime of most devices and applications they are used in, thus making them environmentally friendly. Battery lifetime can be optimised by only charging under favorable conditions, at an ideal rate and, for some chemistries, as infrequently as possible. Ultracapacitors can help in conjunction with batteries by acting as a charge conditioner, storing energy from other sources for load balancing purposes and then using any excess energy to charge the batteries at a suitable time. Increased safety since they can handle short circuit and reverse polarity. Also, there is no fire and explosion hazard. Improved environmental safety since there is no corrosive electrolyte and toxicity of materials used is low. Rechargeable batteries on the other hand wear out typically over a few years, and their highly reactive chemical electrolytes present a disposal and safety hazard. Rugged since they have Epoxy Resin Sealed Case which is non corrosive. Undergraduate electrical engineer, participant interested in writing. Great series of articles, very informative w/out going over our heads! Does any one have examples of industrial applications where super capacitors are used? Please share!